Amruta Khanvilkar won the seventh season of dance reality show Nach Baliye with her actor husband Himanshoo Malhotra. Amruta Khanvilkar is on cloud nine and this is because the actor has bagged a role in Meghna Gulzar’s upcoming film Raazi, opposite Alia Bhatt and Vicky Kaushal. 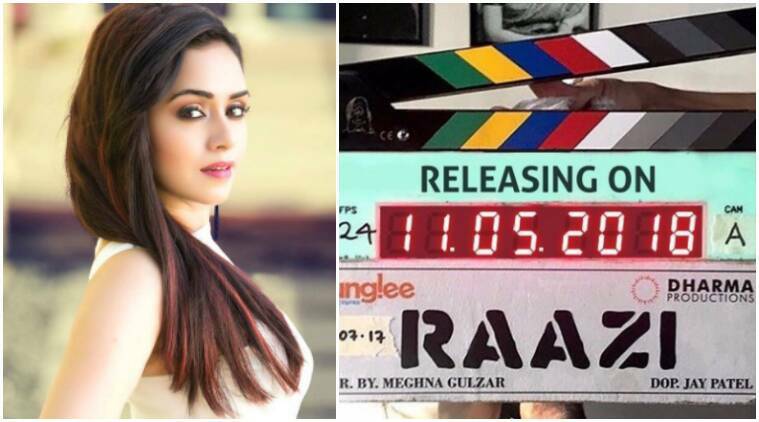 Amruta, who is one of the leading stars of Marathi film industry and a popular face in television too, shared a picture on her Instagram profile of the clapboard from the sets of Raazi. She even captioned it as, “N done with my scene #no1 on the sets of #raazi”. Amruta was last seen in Anil Kapoor’s TV series 24, and Hindi film Himmatwala, apart from Nach Baliye. Amruta, who entered the industry through talent hunt show India’s Best Cinestars Ki Khoj, has been extensively working in the Marathi industry for years now. She has also been part of Hindi TV shows and won the seventh season of the reality dance show Nach Baliye with her actor husband Himanshoo Malhotra.